Distributor / Channel Partner of a wide range of products which include glass tube rotameter, ultrasonic flow meter, flow switch, turbine flow meter, air flow meter and vortex flow meters. We are offering a wide range of Glass Tube Rotameter where operating conditions are with the limitations of Glass metering tubes. These are the principle of Variable Area. The float moves freely up and down tapered borosilicate glass with fluid flow from bottom to top. The float takes up a position where buoyancy forces and the float weight are balanced in proportion to flow rate. The Vertical position of the float as indicated by scale is the measure of the instantaneous flow rate. 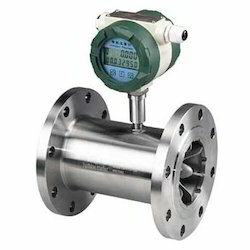 We are offering a wide range of Ultrasonic Flow Meter. 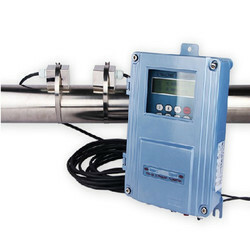 Ultrasonic Flow Meter provides abundant capabilities for accurate liquid flow measurement from outside of a pipe. It utilized state-of-the art technologies pm ultrasonic transmission/receiving, digital signal processing and transit-time measurement. The proprietary signal quality tracking and self-adapting techniques allow the system to optimally adapt to different pipe materials automatically. They are carefully designed so that their operation is simple and easy. The unique clamp-on fixture design makes the installation very simple and no special skills or tools are required. Due to the non-intrusive nature of the clamp-on technology, there is no pressure drop, no moving parts, no leaks, no risk of contamination, no risk of corrosion, no pressure dependency. 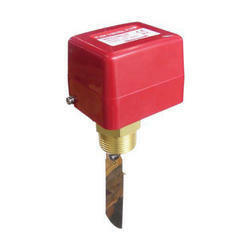 Line Size For Any Pipe Line Size Above 1/2"
We are offering a wide range of Flow Switch. 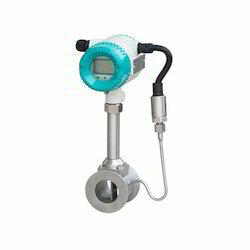 Being a foremost organization in this industry, we are actively engaged in offering the finest quality range of Turbine Flow Meter.Turbine Flowmeters are precise, reliable and rugged instruments suitable for a wide variety of industrial, commercial and aerospace applications. They are designed to provide a high order of performance, accuracy, and reliability under severest conditions encountered in oil, gas, petrochemical, aerospace and other industries. Owing to our enriched industrial experiences, we are committed to providing a wide variety of excellent quality Air Flow Meter. Air Flow system measures the actual velocity of the air flowing through the duct (in m/s).This pressure transmitter consists of a microprocessor based circuit that ensures high reliability and pitot tube for sensing air velocity with high precision & low variations. 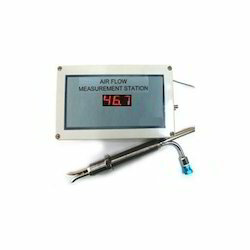 It provides the air flow in a current (4-20mA) corresponds to flow (0-20/40m/s) & displays actual values of air velocity on seven segment display. In industry, high temperaturethe most practical instrument to use is the pitot high-temperatures ustainability, prolonged consistency & stability. 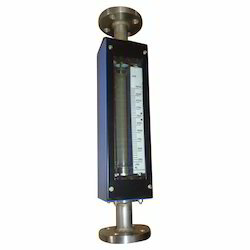 It measures air or fluid flow velocity by determining the stagnation pressure. The pitot tube has a built-in RTD (PT-100) sensor for temperature compensation (Without compensation, changes in pressure and temperature can cause large errors in the flow measurement). 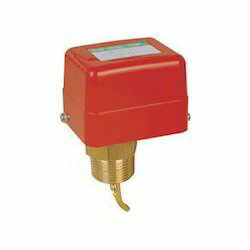 The pressure transmitter is very accurate, robust, cost effective & have good noise immunity. They are also capable of working efficiently under various environmental conditions. 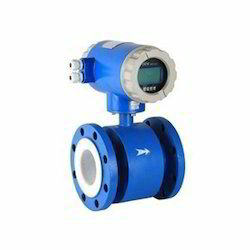 Vortex Flow Meters is widely used in petrol, chemical industry, light industry and power heat supply and so on. 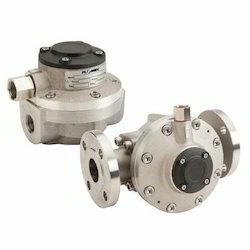 We are devoted towards offering the qualitative range of Electromagnetic Flowmeter, as per client’s precise need and requirements.Electromagnetic Flowmeters are intended for measuring the flow of electrically conductive liquid in closed pipe lines where the magnetic flux permeates the entire cross-sectional area of the liquid flow. Electromagnetic Flowmeters measure electromotive force to determine liquid velocity using Faraday’s law of Electromagnetic Induction and compute the flow rate using the equation of conductivity. It operates with electrically conductive liquids having a minimum conductivity of 5 Micro Siemens / Cm and is relatively immune to the effects of temperature, pressure, viscosity & density of the flowing liquid. Diesel Flow Meter mechanical are designed to meet the stringent demands of customers who need to monitor fuel usage accurately and dependability. 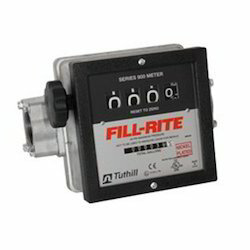 Rugged construction, easy to read numbers, and the flexibility of horizontal or vertical positioning are just three features of these superior meters. Plus, all can be field calibrated for the utmost accuracy, regardless of fluid. With the valuable assistance of skilled team of professionals, we are engaged in offering an extensive range of high-quality Flow Switches. High accuracy and repeatability, direct volumetric reading. 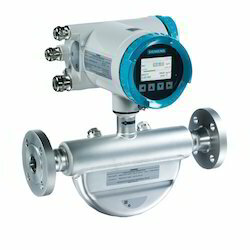 Looking for Flow Measurement Tools ?